There is this line in Terry Gilliam’s ‘Twelve Monkeys’ (1995): “The movie never changes. It can't change. 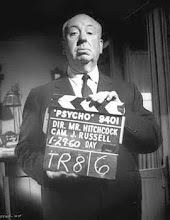 But every time you see it, it seems different because you're different.” In that movie the character makes this statement while watching Alfred Hitchcock’s ‘Vertigo’ (1958). And perhaps that line is my defence as I recommend it as a must-watch here, only after my third viewing of the film. I had watched ‘Vertigo’ for the first time in 2008. My second viewing of the movie was last year, when I showed it to my students as the first movie in their course. By that time I had started the ‘Must Watch’ section on this blog, but did not recommend it in that list. A few days ago, I watched it for the third time. And I could not stop myself from doing this – ‘Vertigo’ in my opinion is a must-watch-before-you-die film! In 2008, I was discovering Alfred Hitchcock. I remember the shiver I felt down my spine while watching several of his films. ‘Vertigo’ has been my favorite Hitchcock film ever since. 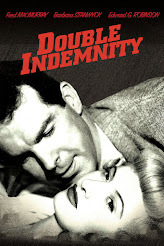 Apart from his usual brilliance with suspense and crime psychology, this film had a touch of the supernatural to it. Until about mid-way into the film, things are shrouded in such an intriguing mystery that you can’t blink an eye-lid. If you are watching it for the first time, you can’t be affected by anything other than its supremely engaging story-line. During my second watch, since I already knew the story, my focus was on the craft – the narrative structure, the shot design, the performances, etc. It only strengthened my opinion of it as a great film. 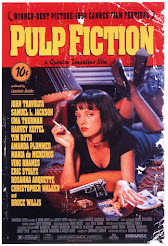 I was not surprised that this film commonly featured in top-ten movies lists. I was not surprised that it was regarded as a work of art, despite being a commercially viable and widely accessible film. I was not surprised that despite having watched eighteen other films by Hitchcock, and several of which were great, this remained my favorite film by him. But I could not recommend it as a must watch. This time, during my third watch, I felt something I had never felt. Throughout the length of the film, I felt sad – for Scottie, the protagonist. I felt a helplessness I had never felt before. ‘Vertigo’ is one of the most powerful tragedies written on film. And its portrayal of a man’s unfortunate obsession with things beyond his control is one of the most devastating portrayals of the weaknesses of the human mind. Once you know what the film is about, and you are no more limited by the more powerful elements of the story and design, you get to go deeper into the psychology of the characters. Since these are the characters you are now familiar with, there is an obvious sense of familiarity. And then, when you see them being trapped into their own obsessions, completely ignorant of their results, you feel helpless. You can’t do anything to change their destiny, and can only wait for the heartbreaking resolution you are only too aware of. I wonder if the Almighty, if there is one, feels the same about us. Being aware of our destinies, does He feel helpless too as we move unknowingly toward an end we can never imagine? Or does He feel a sense of sadistic pride in watching something He created and manipulated, as the worlds of helpless men crumble down with His command? Did Sir Alfred feel the same? This enthralling film is a kaleidoscope embedded with thrill, mystery, conspiracy, anticipation, fear of unknown, past, psychology, romance. 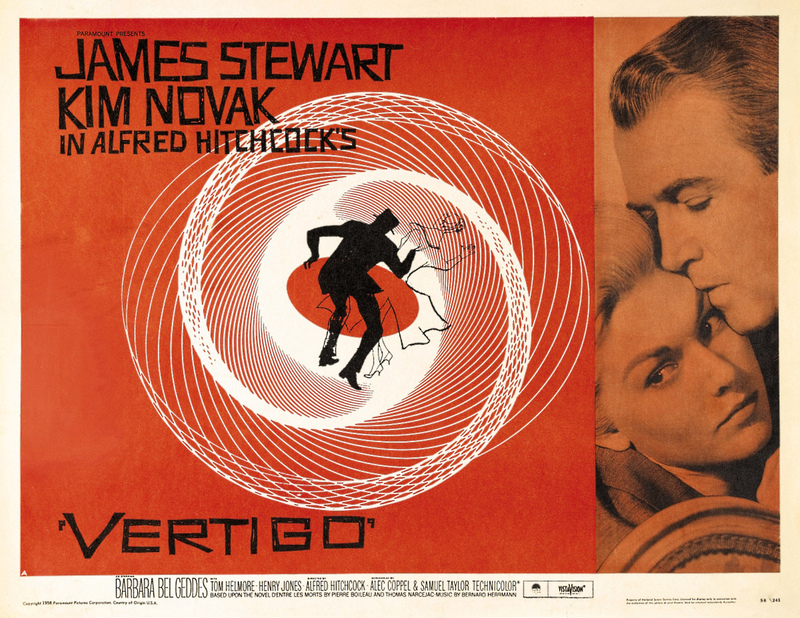 Each of the elements is expressed with Alfred Hitchcock’s beautiful direction, a novel nuance with a backdrop of the protagonist Johnny/Scottie (as named in the film) having a phobia- acrophobia. The conspiracy plotted isn’t one that can be guessed by the audience till the end, and remains bottled in the film’ shell- a truly incredible plot! The fact that fears can make one’s source of livelihood negate is depicted in the first scene when Johnny, a police detective loses his job as his latent fear for heights repels his capacity to save his co-officer falling from a rooftop, resulting in the co-officer’s death. This rupture of Scottie’s dormant acrophobia snatches his job from him. His efforts to combat his fears with his assistant’s help provide meager relief. Gavin convinces Scottie to spy on his wife; Madeleine who he feels is possessed. The element of horror, spirits is predicted by the audience at this stage. 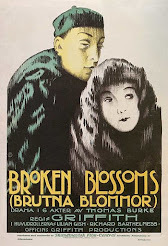 Scottie finds himself falling in love with Madeleine’s beauty, and perceives her to have a psychological imbalance along with suicidal tendencies, when she leaps into the San Francisco Bay and claims not to recall her suicidal acts. Yet, Scottie’s love for her doesn’t eliminate or even mitigate. His assistant displays the emotion of jealousy upon finding Scottie romantically involved with another woman. She turns obsessive by painting her face on Carlotta’s face- the lady who has supposedly possessed Madeleine. The audience might even feel that Madeleine is so ‘desperate’ to be like Carlotta that she even wants to commit suicide at the same age as Carlotta had done. Madeleine’s final act as a mortal- the leap that she takes from the tower leaves Scottie reside in depression along with fearful recurrent dreams. He indulges in self-blame as he feels acrophobia prevented him from reaching the epitome of the tower to save his love. The lookalike of Madeleine on the streets leaves Scottie as well as the audience startled and bewildered; confused as to whether is it a spirit!!! She claims that she is Judy, and not Gavin’s soul mate. Scottie realizes the truth when Judy wears the ruby necklace that Madeleine possessed. Scottie takes her to the same tower in hope of her confessing the truth, but the sudden dimly appearance (more like the spirit of Madeleine) of the nun fills Judy till the brim with the emotion of guilt leading her to suicide. The ending is typical of Alfred Hitchcock’s style of direction- abrupt yet eye-dazzling! A highly introspective and meticulous approach has been taken. 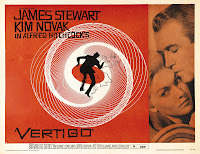 The images in the film, or for that matter in the introduction of credits remain true to this enthralling title-Vertigo. A few minutes of your continuous gaze do give you a mild Vertigo, yet you refraining to move your gaze from this kaleidoscopic movie. That’s the impact this romantic psychological thriller has!! !